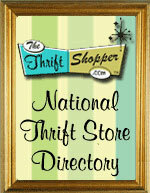 ThriftStoreWebsites.Com strives to help you and your business succeed. We will do all we can to accomodate you through the entire process of getting started on your website, all the way to "going live" with your site. We are available by telephone at 765-475-4973 or you can choose to Live Chat with us or email us at support at thriftstorewebsites.com. You can also click on the links below to see other options.